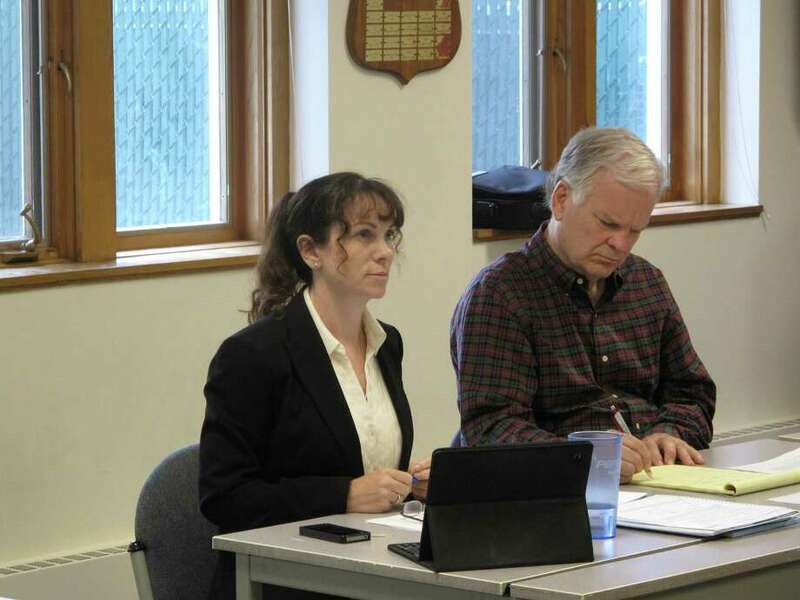 Finance Director Dawn Norton (left) with Town Administrator Tom Stadler (right) at Tuesday morning's Board of Selectmen meeting. The town will spend $60,000 on a consultant to aide the finance department. NEW CANAAN — Dawn Norton, the town’s chief financial officer since 2012, is expected to retire in July. First Selectman Robert Mallozzi III said Tuesday that Norton had announced to him and her department that she would be leaving, though Norton said via email on Tuesday that she had not yet filed official retirement papers and declined questions until that time. After a stint working for the city of Bridgeport’s finance department, Norton was hired by Mallozzi in 2012 from a pool of 55 candidates. She’ll leave a department that has drawn headlines in recent months after lingering material weaknesses in the town’s accounting were repeatedly reported by the town’s Audit Committee. In response, Mallozzi made a personnel change at the end of March and tasked Town Administrator Tom Stadler, a certified public accountant by trade, with overseeing the finance department. Once an interim CFO is hired, Mallozzi said Stadler would transition out of the Finance Department. Norton earned $143,934 in 2016. According to Mallozzi, before she steps down, Norton will spearhead a multi-million dollar bonding project that would allow for the resurfacing of the New Canaan High School track and other field improvements. In her time, Mallozzi said Norton was a crucial asset in modernizing the department, implementing the MUNIS (Municipal Information Systems) and working through an internal IRS audit, ultimately saving the town money. He also commended her dedication to the job.